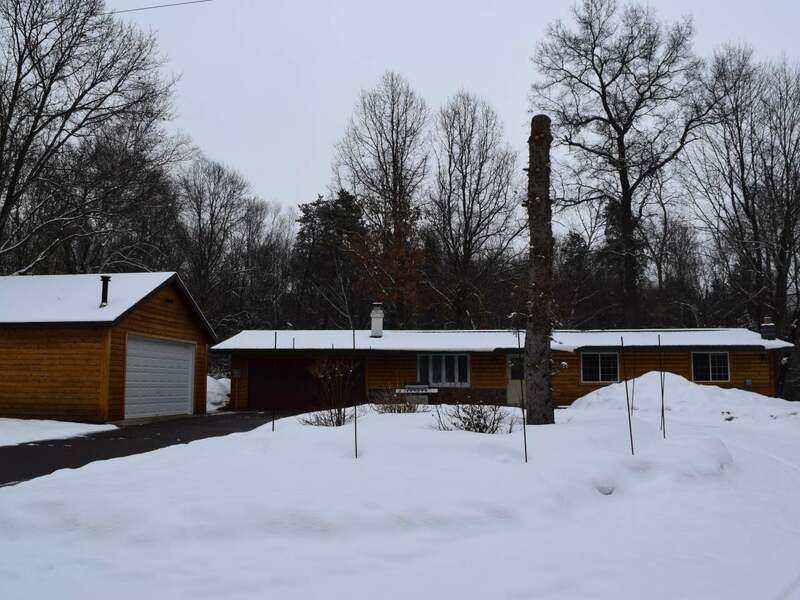 Tucked away, on a dead end road, you will experience the serenity surrounding this 3 bedroom, 2 full bath log sided home, located on 1.47 acres. This property offers many new updates and improvements! All 3 bedrooms are on the main floor, as well as the 2 full bathrooms. The Master bedroom has patio doors leading to the yard, which is visited often by various species of wildlife. There is a wood burning brick fireplace in the living room. Get your popcorn ready, the projector system in the lower level family room IS included in the sale! There is a 2 car attached garage and a 2 1/2 detached garage for extra storage. The family pets will appreciate the partially fenced in back yard. Be sure to come see this one today, before it is gone!